Who doesn’t love a parfait? 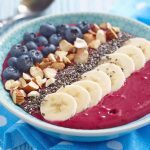 Thankfully not all parfaits have to be loaded with ice cream, chocolate, and other ingredients that aren’t as good for a healthy lifestyle. 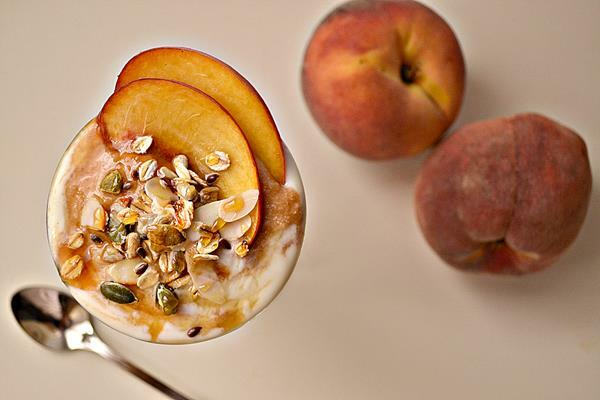 Instead, some come in much healthier, paleo options, such as this recipe for a delicious peach parfait! Not only that, but you can easily make it from home! Firstly, sprinkle the grass fed gelatin over about half a cup of the coconut milk. Then set it aside for now. Secondly, pour the remaining coconut milk into a saucepan and whisk in the raw honey, vanilla extract, and lime juice. Turn the burner to low and add the gelatin mixture to the pan. Gently warm the coconut milk until warm, whisking until the gelatin is combined and lump free. Pour the gelatin mixture into a bowl, then cover and refrigerate it for at least an hour to be sure it’s chilled. When the yogurt mixture sets, next you add it to a blender and process until smooth. Finally, add the blueberries and pulse to combine. To begin with, add the peaches, lemon juice, raw honey and basil leaves to a saucepan. Cook over low heat for about 15 minutes, until the peaches release their juices and thicken slightly. After that, remove from heat and take out the basil leaves. Lastly, put the peaches in the refrigerator to chill. 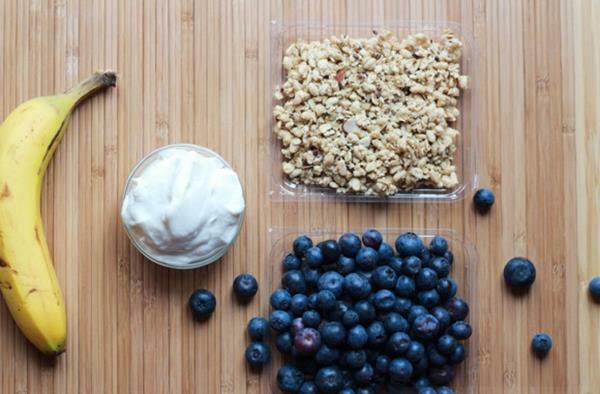 For smaller, dessert sized parfaits, divide the yogurt, peach & granola layers between 4 glasses or bowls. 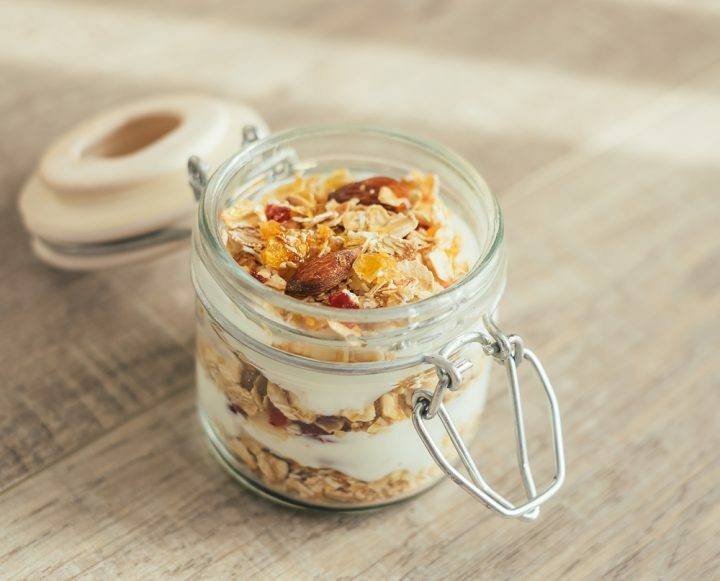 For larger, breakfast-sized parfaits, divide the yogurt, peach & granola layers between 2 glasses or bowls.